Cape Cod Welcomes You Home. Whether you want to buy a home or 2nd home on Cape Cod, sell your Cape Cod home or book your next Cape Cod vacation, our entire team at Foran Realty is here to help make your Cape Cod dreams come true. 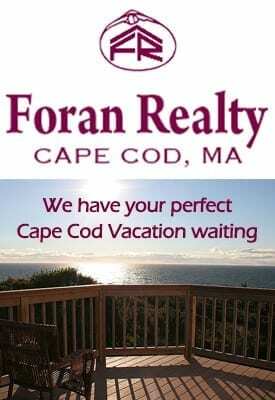 CAPE COD, MA: Foran Realty, Inc. was established with a primary focus on providing outstanding Real Estate & Vacation Rental services in Cape Cod, MA for our valued clients. A completely satisfied client is our ultimate goal whether buying a home on Cape Cod, or selling your Cape Cod home. We offer the highest level of customer service ever to be experienced on a local level. Our objective is to positively redefine the Real Estate and Rental experience on Cape Cod. We believe today’s consumers have a desire to return to dealing with the Real Estate smaller brokerage agencies of the past, as many of the “Super Sized” Real Estate Firms are not providing the dedicated one-on-one personal level of service that consumers are demanding, and most importantly deserve. Our objective is not to be the largest Real Estate firm on Cape Cod, but we will be the best Real Estate firm on Cape Cod! We work with local vendors in keeping with our philosophy that “bigger is not necessarily better” and it is best to work with your local Neighbors and Businesses because together we make the Community we live in a better place. Foran Realty, Inc. provides “First Class” Real Estate Buying and Selling assistance to residential Home Buyers and Sellers. We cover all of Cape Cod including, the Towns of Dennis, Yarmouth, Barnstable (Northside), Harwich, Brewster, Osterville, Chatham and Orleans. We list and sell Cape Cod Single Family Residences, Condominiums, Land and Investment Homes and Commercial on behalf of our valued Clients. Foran Realty has 2 locations to serve you, one located at 8 Taunton Avenue, Dennis, MA 02638 and 585 Route 6A, Dennis MA 02638. When you’re in the area please stop in and say hello to Patrick and the entire Foran Realty Team! 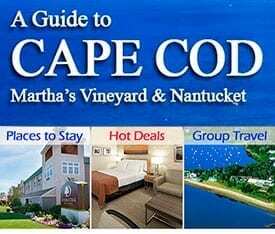 We would love to show you Cape Cod Properties or just welcome the opportunity to meet you. Our coffee pot is always on! Foran Realty is a licensed Brokerage firm in the Commonwealth of Massachusetts. We just want to thank you again for all of your hard work and diligence in finding us our new home. It was a lot of Saturday and Sunday mornings looking at house after house, and luckily your “heads up find” got us the house we wanted. “Pat Foran at Foran Realty has managed the summer rental of my cottage in Dennis for the last 4 years. Thanks to Pat’s efforts we went from an occasional rental to a fully booked season each year. The renters have been great (no complaints from the neighbors!) and many have become “year after year” regulars. We were apprehensive about listing our place during a tough market. Patrick Foran gave us the information that helped us make our best decision. Patrick managed the process from beginning to end and our home sold before we knew it. Patrick is a pleasure and a pro. We would just like to thank Patrick for everything he did for us while we were selling our home. Selling a home is not easy, especially when it includes replacing your septic system, removing a deck, putting that deck back up, removing a fence, and putting it back up, as well as more “little jobs” that needed to get done to make the sale go smoothly. Patrick had all the resources we needed to get all these jobs done quickly. Broker/Owner directly involved in every transaction. We are “your” Cape Cod Real Estate boutique firm combining the customer service of yesterday with the technology of today to help you achieve your goals. We work with local vendors and professionals, reinvesting in or community to make it the best possible. We love the Cape… and SHOW it!